Nina Boyd is an empathetic and talented rider whose natural feel for a horse and the small nuances that they have as individuals is inspiring. 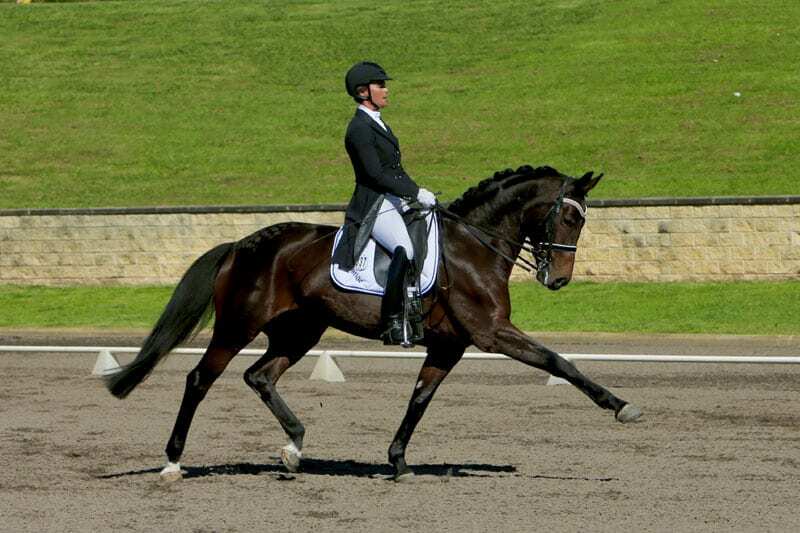 Nina trained in Germany as a young rider where she expanded her skills in both dressage and the establishment of the professional dressage stable, a service she now offers through Canberra Performance Horses. Nina continues to train regularly with visiting international coaches and competes at a national level on both client’s horses, and home grown horses that she has started herself from the beginning of their dressage career. Nina travels throughout the country to compete against Australia’s leading riders, thus maintaining a continual cycle of training, assessment and professional development. She is consistently in the placings, including many wins, demonstrating her capacity to truly get the best out of the horses that she campaigns. As a coach, Nina has a natural talent for communicating the true intention and purpose behind the dressage movements. She communicates easily with all levels of rider from beginners to experienced Grand Prix professionals and her gentle but firm approach yields fantastic results. Nina’s dedicated students have been seen to move steadily through the levels to excel in dressage and are a fantastic legacy to her consistent and correct coaching.